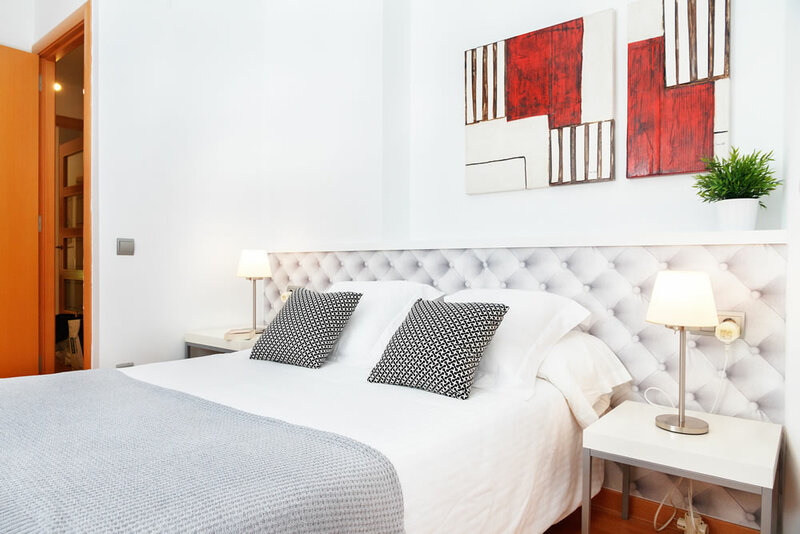 The Marquet I beach apartment (HUTB-000263) is located on the first floor of a small new building with an elevator in the heart of the picturesque neighbourhood of Poblenou in Barcelona, just 5 minutes walk from the Barcelona Beaches. 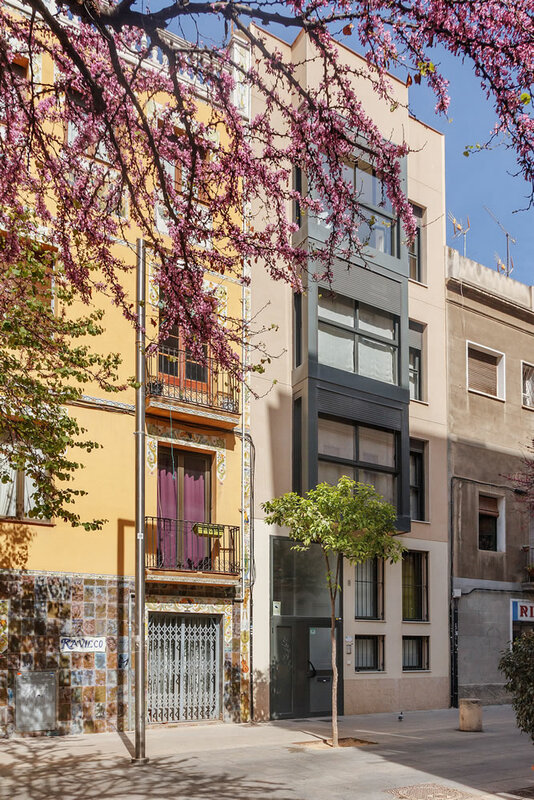 Poblenou is close to the CCIB convention centre and the 22@ technology district, and only ten minutes metro ride to the historic city centre of Barcelona. 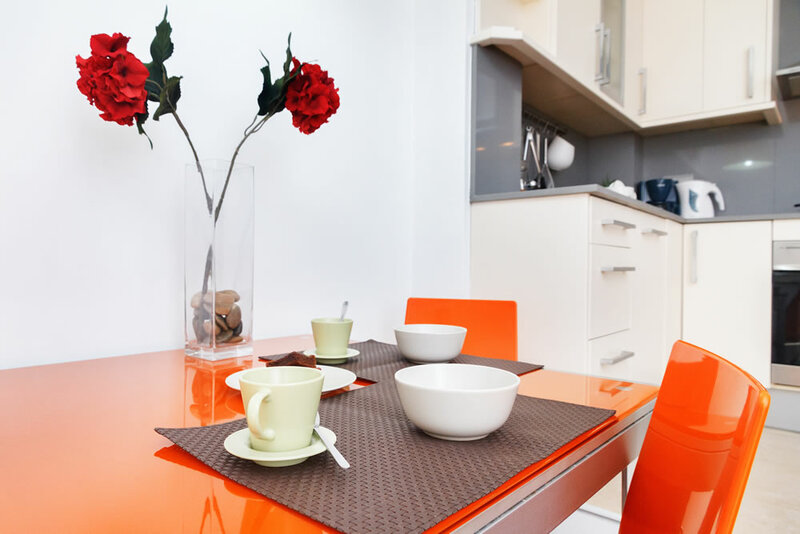 Therefore this apartment is equally suitable for business or for tourism and recreation. 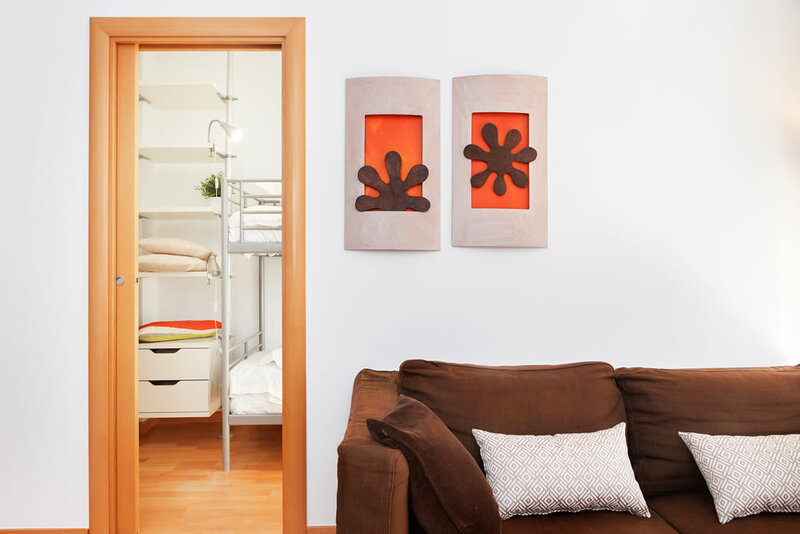 This Barcelona beach apartment is tastefully decorated to ensure you feel at home. All the rooms recieve plenty of natural light so the apartment has a bright and pleasant feel. There are two bedrooms. 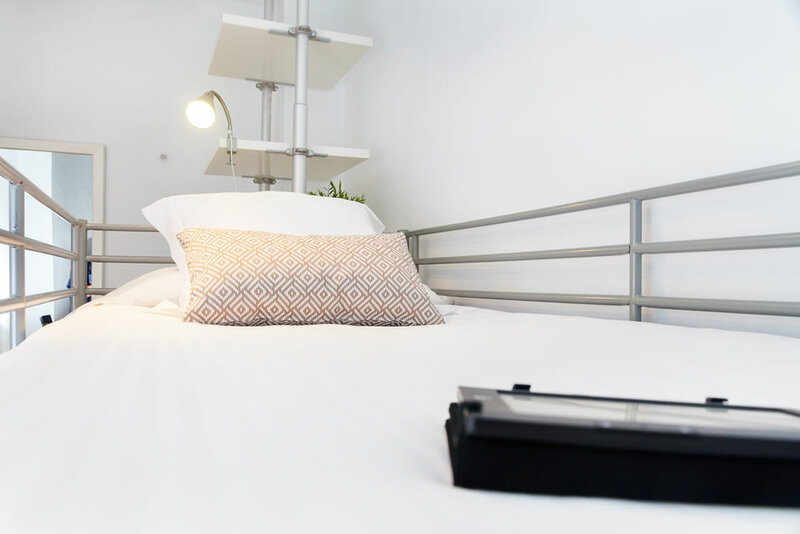 The master bedroom has a queen size bed and faces the bright and calm inner courtyard of the block. 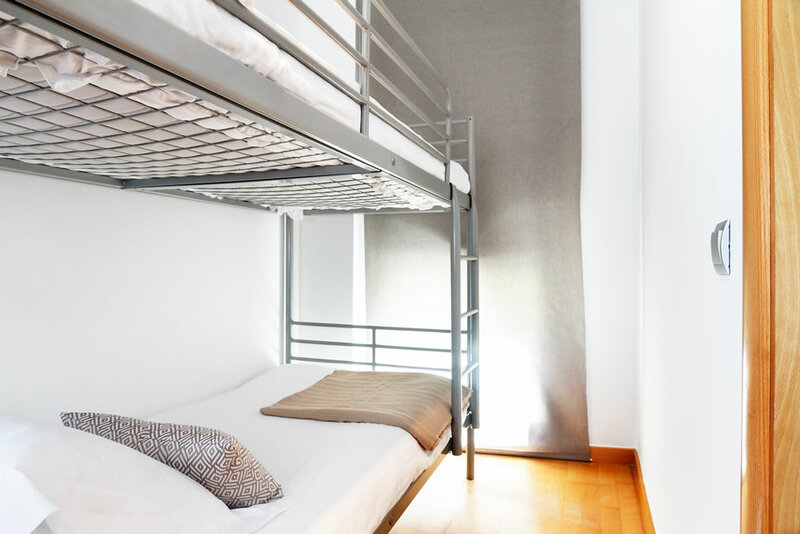 The second bedroom is a bit smaller and has a bunk bed, ideal for your kids. The living area is very spacious and airy with plenty of natural light, and is equipped with LCD Flat Panel TV, DVD player and air conditioning, The kitchen comes fully equipped with everything the guest might need to prepare a meal or to have a snack, and the bathroom is large and modern, and equipped with a large shower unit. 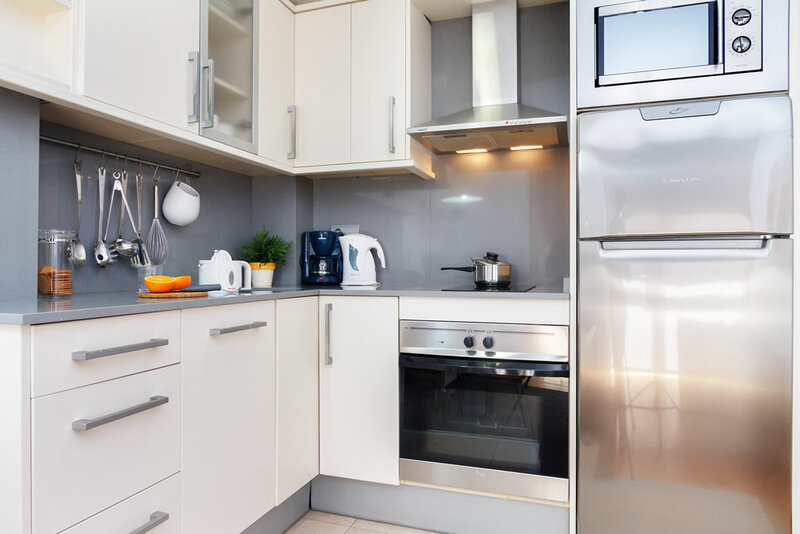 Apart from the above this apartment also features a free WiFi connection and car park nearby (which it is necessary to reserve beforehand at a cost of 15€ per day). city centre in ten minutes without changing line. The area is ideal for cycling - in a 10 minutes ride you can get to the Port Olímpic, the Fòrum Park or Ciutadella Park, and in 15 minutes to the centre of the city. 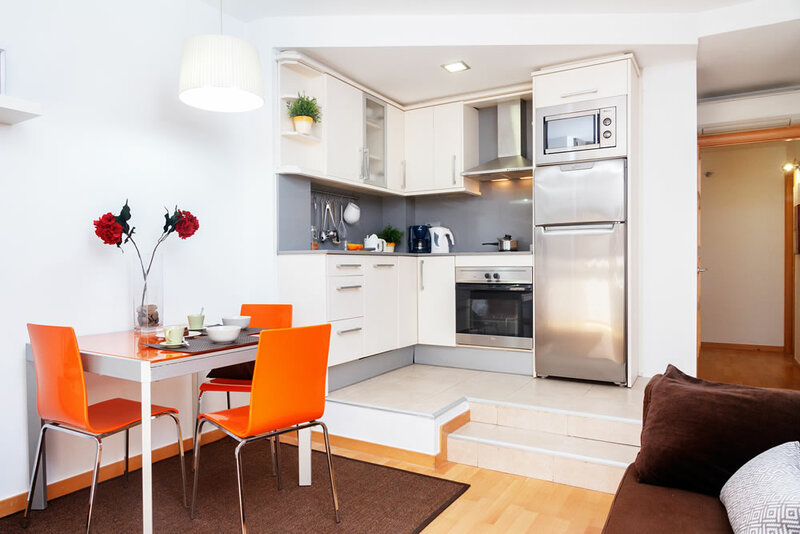 The apartment is also an excellent choice for those visiting Barcelona on business, as it is very close to the emergent business areas of 22@ and CCIB - Barcelona International Convention Centre. The airconditioning :) It's very nice and clean, the washmachine is also helpfull, the lady was very kind, and gave us tips for our stay. The location is the best in Barcelona, lots of organic food shops. Very good that you can cook in the apartment also. Parking place nearby! Situation in the town, near the beach and quiet district. No tiene nada que mejorar, está perfecto! 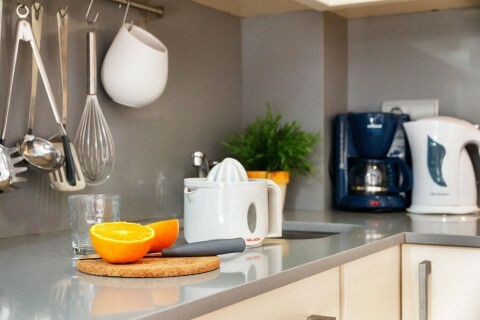 Location near to the beach, Ramblas de Poblenou and metro very convenient, general layout of apartment, market and shops around, car park place possibility, air conditionning. 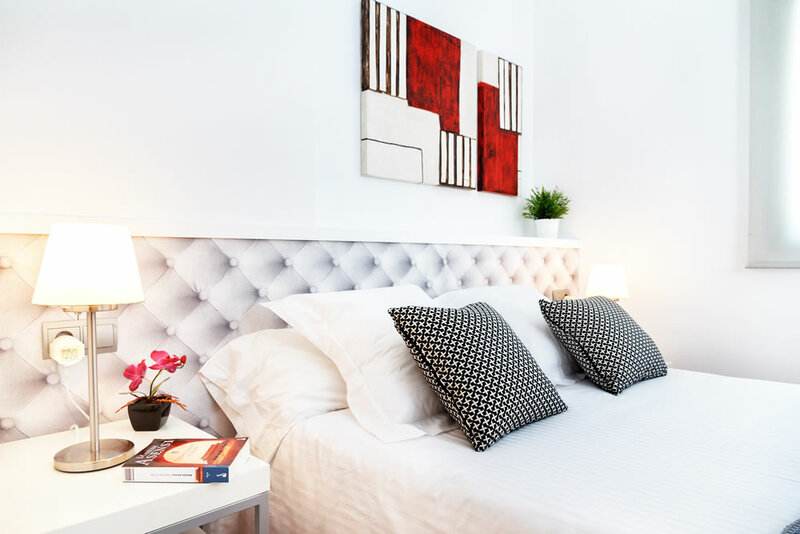 Close to the beach, close to Rambla de Pueblenou with all the restaurants and charming life. The oppoortunity to use washingmachine, etc. 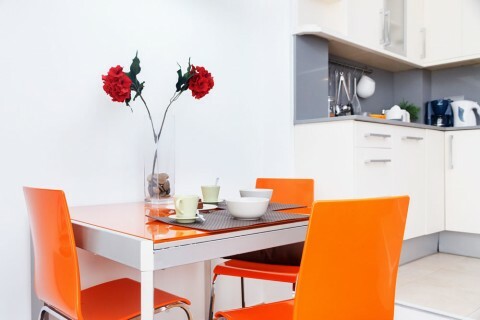 Very tidy & modern low maintenance apartment in excellent convenient location. We liked very much big windows and important was good heating in wintertime.